Who can forget a young quiffed Cliff Richard singing 'we're all going on a summer holiday, no more worries for a week or two'? Now audiences have the chance to relive that feel-good moment as a new musical based on the film goes on tour. Based on the iconic 1960's film of the same name, starring Cliff Richard and The Shadows, Summer Holiday The Musical will include all of the number one hits from the movie, plus some additional Cliff Richard classics. The new show tours the UK from May with the famous red double-decker bus making a stop at the New Alexandra Theatre in Birmingham from Tuesday 12 June to Saturday 16 June. 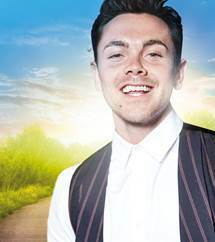 Taking on the lead role of Don (the part made famous by Cliff Richard) is singer-songwriter Ray Quinn. Ray shot to fame as the runner-up in ITV1's The X Factor in 2006 and has since been seen winning Dancing on Ice. Quinn is no stranger to musicals and has starred on stage as Danny Zuko in Grease in the West End and toured with Legally Blonde and, most recently, The Wedding Singer, when he performed at New Alexandra Theatre last year. Summer Holiday tells the story of Don and his fellow London Transport mechanics as they journey together in a red double-decker bus through Paris, the Alps, Italy and Greece. Along the way, they pick up a girl singing group and a young American pop star who is in disguise as she is on the run from her domineering mother. Love, fun and adventure follow and there are plenty of well-known songs on the journey. The soundtrack included 'In the Country', 'Summer Holiday', 'Travellin' Light', 'Bachelor Boy', 'Move It', 'Living Doll', 'The Young Ones' and 'On the Beach'. 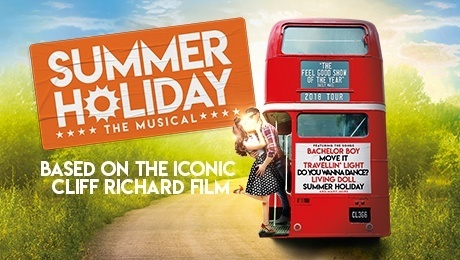 Summer Holiday The Musical will also be touring to other venues around the UK including Liverpool Empire Theatre, Grand Opera House York and Edinburgh Playhouse. See the theatre website for more information.